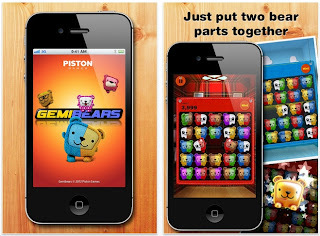 Gemibears is a point scoring puzzle app. 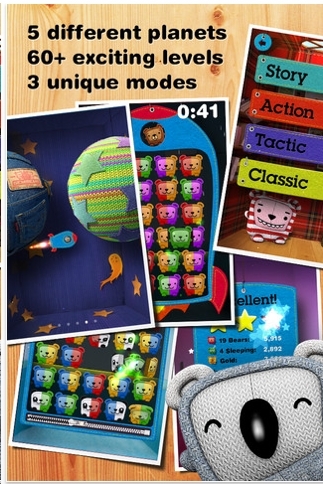 Tap on 2 bears that have opposite colored halves to make 1 whole bear. The bears must be adjacent. Also, you may slide rows across and columns up and down in order to get 2 specific gemibears next to each other. 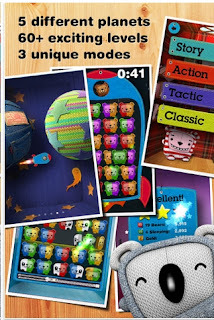 Gemibears is a fun game - for kids. Right now I'm more interested in this company's true puzzle app, which I'll write about later.